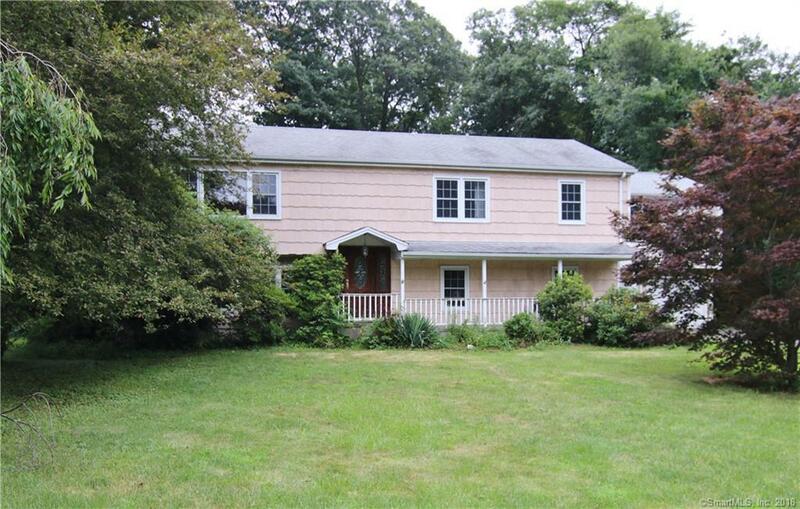 Bring your imagination to the Wolfpit section of Norwalk, CT. With over 3,000 square feet this 4 Bedroom 3.5 Bath home includes a 2 and 1/2 car garage. The first floor boasts a legal in-law apartment including kitchen, living room with fireplace, bedroom, full bathroom, deck, and patio. Large family room with laundry facility 1/2 bath with direct access to patio and in-ground pool. The second floor has an open large kitchen, family room, dining room, deck, recessed lighting and surround sound. There is a large Master Suite which combines the office/sitting room, full bath with jetted tub and 2 large walk-in closets and balcony. Recessed lighting throughout the master suite area. Boiler and water heater are new, fenced in yard, mature plantings. Needs some TLC.